Here is a side of Santa you never seen. 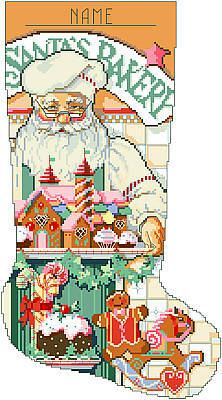 Mrs. Claus has help in the kitchen in this stocking showing Santa with his gingerbread house. Contents: Stitch Count 119w X 216h, finished size on 14-ct 8-1/2" X 15-3/8"